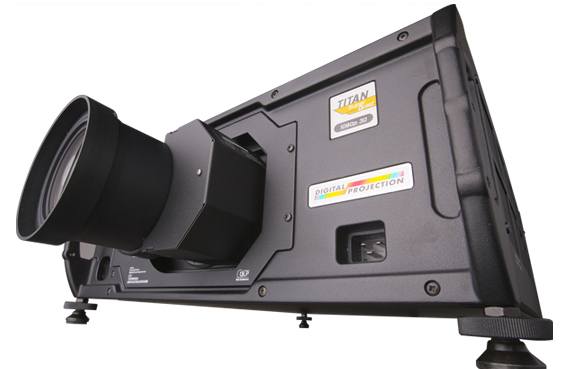 DP's TITAN 1080p LED 3D merges the long-recognized precision and power of the TITAN product line with the stunning color space and black levels of LED illumination. 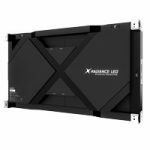 The TITAN LED's 2,000 lumen specification separates it from all other purely LED driven displays, yet understates the perceived image brightness and clarity delivered. In addition to the higher brightness, the TITAN LED enlists DPI's Lifetime Illuminationô platform, providing a virtually maintenance-free imaging solution that never requires a lamp replacement. A combination of consistently stable, long-term light output and a supremely low-maintenance illumination system defines DP's TITAN LED displays. 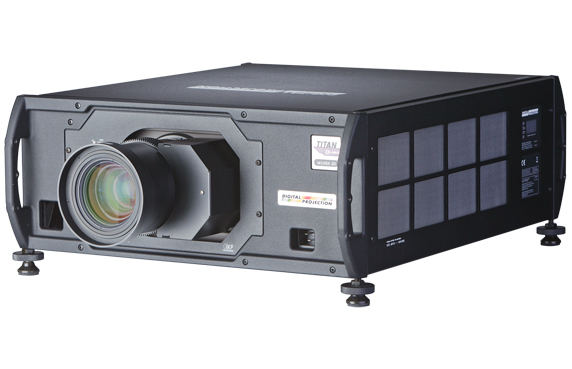 In this projector, the RGB-based LED illumination system eliminates the need for a color wheel to produce primary colors. Instead, red, green and blue LED's produce primary color illumination, rendering incomparable color gamut and color saturation with no color wheel artifacts. Additionally, the TITAN 1080p LED 3D features DP's FastFrame technology, which assures fast-moving content appears remarkably sharp and free of motion smear - an important consideration when viewing fast-moving content. The benefits of LED illumination versus lamp illumination are widely known, including unrivaled color performance, lower overall cost of ownership, less heat and noise produced and no lamp replacement concerns. Equally as compelling are the advantages to 3-chip DLP/LED over single-chip DLP/LED displays. The color gamut produced by a 3-chip LED display is up to two times as broad as a single-chip DLP/LED projector. In fact, with DMDs dedicated to each primary color, as opposed to sequential display of R, G and B primary colors (as in single-chip), the TITAN 1080p LED simultaneously produces higher bit depth, higher color saturation and much higher brightness than single-chip DLP/LED projectors. This results in color performance that is truly beyond compare. What about the LED Brightness Specification? Though often measured as less bright than many lamp-based projectors, LED projection systems are perceived by the viewer as being much brighter than their measured luminance specifications, thanks in part to the Helmholtz-Kohlrausch effect (H-K effect). The International Electrotechnical Commission defines the Helmholtz-Kohlrausch effect as, "A change in brightness of perceived color produced by increasing the purity of a color stimulus while keeping its luminance constant within the range of photopic vision." In layman's terms, the H-K effect describes a situation whereby if two color stimuli sources with the same luminance are compared, the perceived brightness induced by the color stimuli of higher purity will be higher than that of lower purity. Why is this important? LED illuminated projectors produce extraordinarily high color purity and saturation, thus appearing much brighter, sometimes up to 30% brighter, than a lamp-based display with similar measured lumen specifications. Venues needing long-life projection systems with unmatched color saturation, lumen maintenance and color stability. Warp, Blend and Geometric Correction features, including the ability to make extensive geometric warp correction for screens with complex geometry, are included in select projectors. 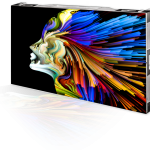 Additionally, superbly capable edge blending and multi-projector tiling is provided by way of high bit depth processing that ensures a seamless, contiguous image can be created from multiple projectors. The most diverse 3D-enabled projector line-up available today. Key technical innovations such as our Active-3D sideboard with dual pipe, high-bandwidth input ensure your immersive 3D experiences are second to none. Designed for use with many of DP’s 3-chip product line, as well as select single-chip displays, the Projector Controller software allows full management and operation of multiple projectors from a single centralized PC-based application. Ideal for use in large installations or where projectors are installed in multiple locations within a building, the software can dramatically reduce the time required for set up and configuration. This free piece of software is available for download here. The Rigging Frame allows the stacking of multiple projectors, along with the ability to make fine positioning adjustments. 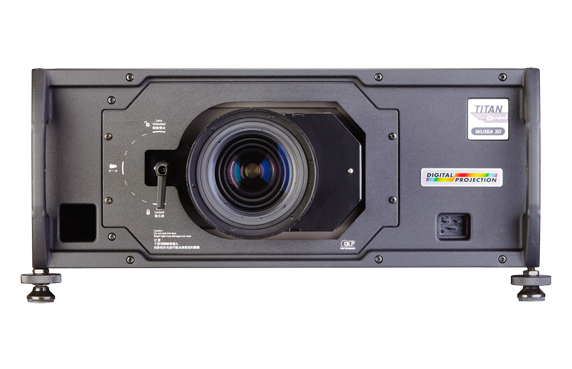 Ruggedly built, these frames simplify the installation and placement of many Staging-grade projectors. 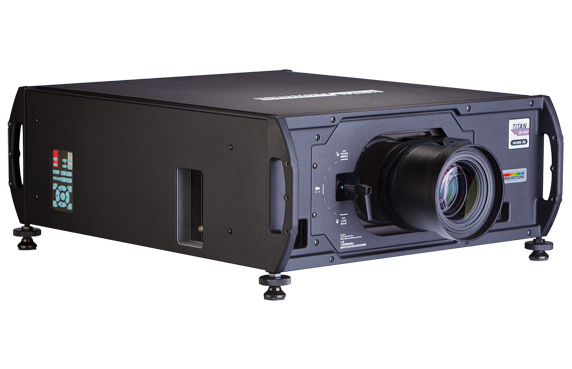 Dual Link DVI, DisplayPort and HDBaseT options are a few of the many high-performance inputs available in select DP projectors. Applications with 120 Hz native sources can utilize the TITAN’s High Bandwidth input, eliminating the need for frame doubling. DisplayPort and HDBaseT inputs further extend the source flexibility of DP’s product line. Protect Your 3 Year Warranty – Buy and Use DP Certified Lamps. Over the years, DP has seen numerous instances of irreparable projector damage, caused by the use of non-DP certified, non-original lamps. To ensure you attain maximum performance and reliability from your DP projector, and keep the original 3 year warranty intact, we urge you to purchase DP certified lamps.